Installing an automatic sprinkler system for your home is a great investment in your property. However, if you’ve never scheduled a sprinkler installation in Denver or have never had automatic sprinklers and irrigations systems in place, you likely have a few questions on your mind. This is completely normal and we want to help. 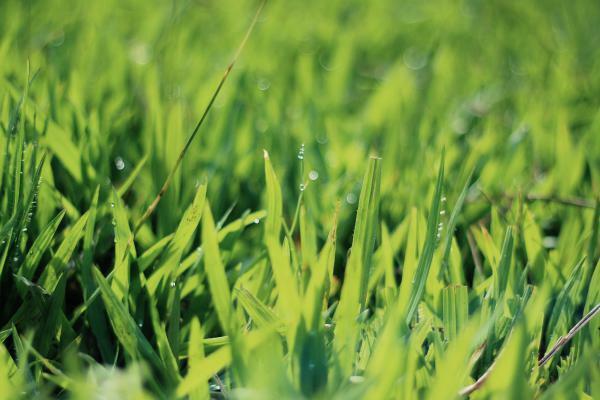 We’ve answered some of the most frequently asked questions about lawn sprinklers and irrigation systems so you can know what to expect once you have one installed. Won’t an automatic sprinkler use more water than I’m using now? Contrary to popular belief, automatic sprinkler systems don’t use more water than hand-watering with the garden hose. In fact, they actually use less. Modern systems are designed with efficiency in mind and use only enough water to adequately serve the needs of your plants. Should you expand your garden or change the type of plants you have, the water rates can always be adjusted. Best of all, you never have to worry about accidentally leaving the hose dripping for an entire day after you water. What will it add to my landscaping? Simplicity. Water sprinklers can be set on an automatic timer, meaning they’ll kick on whether you’re home or not. This can make a huge difference when you’re looking to reduce the amount of time you spend on your landscaping. Once you set the timer, the system will start watering the yard at the appointed times without forcing you to get involved. For maximum convenience, you can opt to install a rain sensor so the sprinklers will turn off and stay off when we’re lucky enough to get rain in the Denver metro area. Can’t I install the sprinkler system on my own to save money? Installing a sprinkler system is more complicated than it might seem. Utility lines need to be located and marked out, electrical components must be patched into the grid, and water supplies need to be run properly to eliminate the risk of leaks or flooding. System installations require extensive experience in order to do the job properly. Handling installation yourself is not the best option and could lead to more expensive repairs in the future. By leaving it to the professionals, you’ll save money in the long run and keep your yard looking its best. Will the water efficiency be great enough to make a difference on my water bill? You may not see an immediate difference in your water bill after you install the sprinkler system. However, after a few months, the average usage should be significantly lower than it was when you watered with the hose. It all depends on how much you’ve been watering prior to having the system installed. If you’re the type of gardener that’s out in the yard four days a week, watering and caring for plants, you’ll likely see an immediate change. However, if you’re not watering your plants or have neglected the landscaping for a few months, the water bill may go up. Regardless of the circumstances, the amount of water the sprinkler system uses will still be less than hand-watering, ultimately saving you money. What types of maintenance can I expect? Like all home appliances and tools, your sprinkler system needs regular care and maintenance in order to function properly. In spring, schedule a tune-up with your installation team and let them inspect the system for damage from the harsh winter temperatures. If anything is wrong with the unit, they can repair it before you start getting the yard ready for the planting season. In late fall, schedule another inspection and allow a professional to prepare the system for winter. Periodically throughout the summer, keep an eye on the performance of the irrigation system. If your water bill is going up unexpectedly or you notice uneven spray from one of the heads, schedule a repair appointment immediately. The sooner damage is fixed, the less extensive repairs will be. How much will the installation impact my landscaping? Installing any type of irrigation system will impact your yard and disrupt the lawn to a certain degree. However, at Water Solutions, we do our best to minimize the disturbance and preserve the health of your landscaping whenever possible. As part of the installation process, we’ll first inspect the yard and let you know if there will be any major impact to the landscaping. Keep in mind that sprinkler systems and regular watering will help the yard recover more quickly, so most damage will no longer be noticeable a month after installation is complete. What will I have to do to prepare for winter? Lawn sprinklers use running water from your house’s plumbing system to provide the yard with adequate water. This means there are hoses and pipes underground that connect each sprinkler head to the water supply. Those water lines need to be blown out before winter, otherwise freezing temperatures could do significant damage to the system. Before the first deep freeze, schedule a blow-out appointment to make sure the lines are completely cleared of water before the temperatures drop. If something breaks or you’re simply confused about how to use the new system, call Water Solutions. We want you to feel completely confident in the use of your new sprinkler system and will happily walk you through how to use the system as many times as it takes. If anything goes wrong, we’ll come to the house and inspect the unit so you can get back to enjoying your lush lawn and beautiful landscaping without worrying about hand-watering. Whether you’re looking for a new sprinkler system or want to have your existing sprinklers serviced, contact Water Solutions today. Our dedicated team will make sure your lawn gets the water it needs so you can enjoy your yard from spring to fall. We have years of experience and are comfortable working on just about every type of system, so you’ll have the peace of mind knowing your yard is in good hands. Contact us today for a free no-obligation estimate.